Annisquam Light and Wigwam Point , as seen at low tide over the tidal flats of Wingaersheek Beach in Gloucester Massachusetts during sunrise. 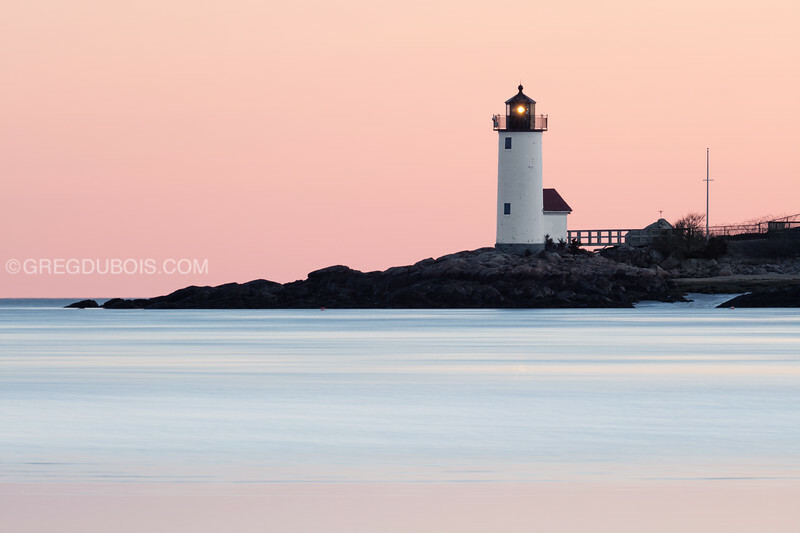 The transition between twilight and sunrise yields a soft pink sky and blue water, on a calm spring morning in 2019. Annisquam lighthouse is one of the four oldest lighthouses to surround the Gloucester peninsula.